Don't hand in a flimsy report-use our strong Chipboard 24pt covers to give your project strength and durability! 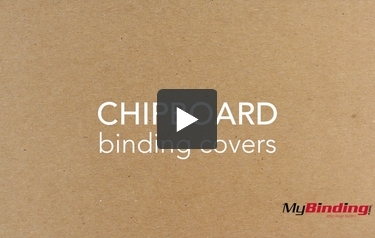 Our chipboard covers are a great way to add that extra oomph to any bound document, presentation, or notebook. And we accommodate any type of project you might have. We have 18 different sizes available and can pre-punch them for you. Actually, if you have to punch binding holes in them, we should probably do it for you, since some smaller manual punches can't go through such sturdy material. These covers can make either a great support system for flashier covers or work great by themselves for your casual meetings.